The Federal Government has offered a $150 million infrastructure peace offering to Victoria's Labor Government, committing the amount needed to finish the upgrade of the M80 Ring Road in Melbourne's West. The relationship between both governments has been noticeably terse since Premier Andrew axed the East West Link project in late 2014, in which the Ring Road was to be completed in the second phase. The most recent war of words erupted after the national budget was released and the Federal Government demanded the swift return of the $1.5 billion given by Canberra for the East West Link, which Premier Andrews refused to relinquish. 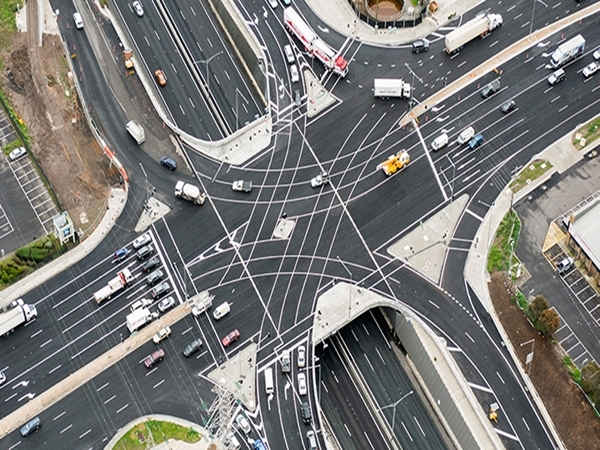 Infrastructure Australia recently estimated that the cost of delays on Melbourne’s road networks will triple to $9 billion by 2031. So, as Melbourne congestion becomes an increasing concern, it appears the Commonwealth Government is ready to move on. The M80 Ring Road links Melbourne’s northern and western suburbs, providing access to Melbourne International Airport, as well as the ports of Melbourne and Geelong, and rail freight terminals. The M80 project will create around 1,000 jobs and deliver a fully upgraded M80 between the Western Highway and Sydney Road. A third lane in each direction will be built to improve traffic flows. Improvements will also include new overhead electronic lane signals, variable speed limit signs, CCTV cameras and upgrades to communication networks and central control systems. Prime Minister Tony Abbott promised $150 million to finalise the upgrade, matching the amount already committed by the Victorian State Government. The money has not been allocated from the disputed $1.5 billion. Assistant Infrastructure Minister Jamie Briggs said the M80 Ring Road project is “shovel-ready, endorsed by Infrastructure Australia, and is essential to the future operation and linkage to the proposed Western Distributor project – or the East West Link." Victorian Treasurer Tim Pallas welcomed the new “tone” of discussions between the two governments and described to the project announcement as “surprisingly good news." We feel the same way. Any infrastructure project given the green light is great news for the industry. More projects open up more opportunities, and more opportunities means more jobs. Plant hire companies in Melbourne and surrounds should make sure they are listing their equipment on PlantMiner so they can capitalise on these opportunities.